Since Beyonce rocked the classic black Isabel Marants in her Love on Top video. I had to get a pair. 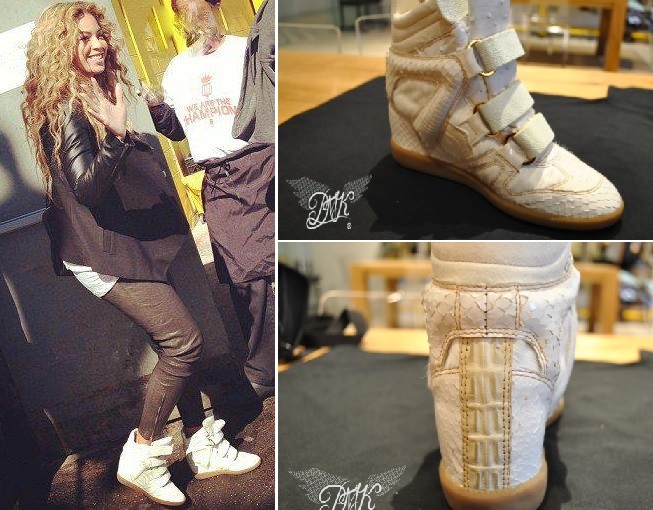 Beyoncé has designed her own Marants in association with PMK Customs - a custom sneaker company who have titled the new sneaks 'King Bey.' They are made from stingray, ostrich, anaconda skins, calf hair, and crocodile. Whoa, speshh.